Cougar Baseball Camps are designed to help improve the performance of baseball players of all ages and skill levels. Campers will receive instruction from some of the top coaches in the country who care about the betterment of each individual player. Cougar Baseball Camps are dedicated to the development and growth of all campers who attend. This Monday-Thursday camp is a great opportunity for players to develop their skills in all areas of the game. This camp will specialize in hitting, fielding, proper way to play catch, game situations, and much more. Each camper will learn the fundamentals in these areas as well as many drills to take home with them. Campers are divided by age and ability level for drills and games. All campers will need to bring their own glove, bat, helmet, baseball hat, turf/tennis shoes (and cleats if they want), and catchers equipment (if needed for camp). Please make sure the campers name is clearly printed on all pieces of equipment that he brings to camp. All other equipment (balls, tees) will be provided. Check in will start the morning of camp at 8:15am. Parking is available at the Premier facility to all guests. There will be UH merchandise (Hats) for sale each day of camp. This Monday-Thursday camp is a great opportunity for players to develop their skills in all areas of the game. This camp will specialize in hitting, fielding, proper way to play catch, game situations, and much more. Each camper will learn the fundamentals in these areas as well as many drills to take home with them. Campers will also get to showcase their skills during games each day. Campers are divided by age and ability level for drills and games. Campers will be grouped the beginning of camp the first day based on their age groups-if they are attending with friends we will accommodate them to be together for the week. At check-in, campers will all receive a camp t-shirt! 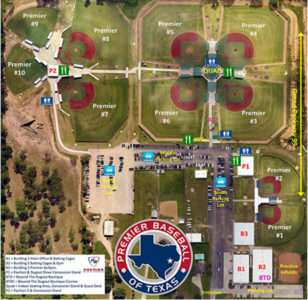 Here at the University of Houston be will be using beautiful Don Sanders Field at Darryl & Lori Schroeder Park for drills and games throughout the camps along with Yeoman Indoor Facility and the UH Batting cages down the LF line. Camp will be held rain or shine. Check in will start the first morning of camp at 8:15am in front of the Baseball Field. Lot 16B is a temporary parking area designated for drop off and pick up only. For half or full day parking, please go to the visitors parking garage. This two day camp is designed to help each camper develop their fundamentals and skills hitting the baseball. Campers will be taught a variety of drills in order to develop proper swing mechanics. Stance, stride, rotation, and balance are just a few of the key topics that will be discussed and practiced in depth. Strength and conditioning for hitters will also be included during camp. All campers will need to bring their own bat, helmet, baseball hat, turf/tennis shoes (and cleats if they want). Please make sure the campers name is clearly printed on all pieces of equipment that he brings to camp. All other equipment (balls, tees) will be provided. Please make sure that you know the drop off and pick up times for your camp. Check in will start at 12:30pm Monday morning. The Summer Showcase Camp is the perfect setting to improve your skills and showcase your game to college coaches and professional scouts. Created specifically for high school players, campers will display their skills in a Pro Style workout, defensive showcase and batting practice. Campers will also be given the perfect opportunity to display their abilities to live games for the camp staff. Camp personnel will include UH baseball staff along with other college coaches and professional scouts. This camp is designed for the player who is serious about taking their game to the next level and who desires "exposure" to college coaches. Check in will start 45 minutes before camp on Saturday. Each camper will need to have his medical release filled out and signed before they will be allowed to participate in the camp. Lunch for the full day camps will be available for purchase each morning at the front of the stadium. Our camps range in ages and we have a program to fit your needs. If you do not see a date that works for you at this time please check back to the site as we add new sessions often. Check in August 2nd at 5:30pm for a Cougar Workout session 6:30pm-9:30pm. Parking for Cougar Baseball camp can be found across the street (Cullen) in the lot 16B behind the RF wall. There will be UH merchandise (Hats) for sale each day of camp, the table will be set up in the mornings at drop off, lunch and again at the end of the day for pick up. If you are staying all day the front of the Athletic Alumni is pay to park as well as the parking garage down the street. There will be UH merchandise (hats, shorts, DVD's) for sale each day of camp. Check in will start the first morning of camp at 8:15am in front of the Baseball Field. Lot 15H is a drop off pick up area only-we will have someone at the gate Monday mornings at 7:45am and Tuesday-Thursday at 8:25am. Please make sure that you know the drop off and pick up times for your camp. Check in will start at 8:15 am Wednesday morning. Please make sure that you know the drop off and pick up times for your camp. Check in will start at 12:15pm Tuesday morning. Check in August 3rd at 5:30pm for a Cougar Workout session 6:30pm-9:30pm. Parking for Cougar Baseball camp can be found across the street (Cullen) in the lot behind the RF wall. Parking will also be available in lot 15H off of Elgin for the Friday night sessions. If the surrounding lots are full the parking Garage on Holman is available (pay to park). Consistently recognized as one of the nation's elite college baseball program each year, Houston Baseball has elevated its program over the last several seasons and now remains among the Top 25 under head coach Todd Whitting. 2019 will mark the ninth year for Whitting at the helm and under his guidance, the Cougars have won four American Athletic Conference Championships (two tournament (2014, 2017) and two regular-season titles (2015, 2017)). Houston has been awarded two NCAA Regional host bids (2015, 2017), while advancing to an NCAA Super Regional following a Regional Championship in Baton Rouge, La. in 2014. Houston Baseball has notched three 40+ win seasons in the last four years and is coming off two American Championships in 2017, which was a feat that had not been accomplished since 2000. Also since his arrival back to Houston, Whitting has coached 30 All-Conference honorees, four All-Americans, seven Freshman All-Americans, one conference Player of the Year, one conference Pitcher of the Year, one conference Newcomer of the Year and four conference Freshman of the Year. 30 Cougars were selected in the MLB First-Year Player Draft since 2011 and of the 31, 25 were undrafted out of high school - showing the development of the Houston program. The 2017 Draft class saw a first-round selection, a third-round selection, and a fourth-round selection, while former Cougar Austin Pruitt (2012-13) is excelling in the Major Leagues as a starting pitcher for the Tampa Bay Rays. Houston Baseball has not only succeeded in Championship play, but have accomplishment much more off the field, landing a 3.0 team cumulative GPA every semester since Whitting took over seven years ago. 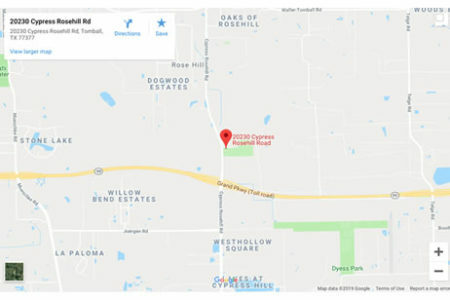 Saturday morning will consist of a Pro-Style workout followed Saturday afternoon and all day Sunday by games at Darryl and Lori Schroeder Park and other area High School Fields. The college coaches and scouts will be at the workout as well as the games for the weekend. Please make sure the email information is correct when signing up as that will be the way communication is sent out to you as the camp gets closer. 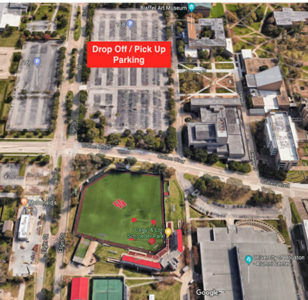 Here at the University of Houston will be using beautiful Darryl and Lori Schroeder Park for drills and games throughout the camps along with Yeoman Indoor Facility, the UH Batting cages down the LF line and other area high school fields. Camp will be held rain or shine. Check in will be Saturday morning November 3rd starting at 8:15am at Darryl and Lori Schroeder Park, Campers will get their teams and camp t-shirt Saturday morning. Parking available in lot 15H or behind the RF wall. Royal Sonesta Houston: To make reservations use University of Houston -Baseball web link or call 855-463-3091. Use group code 1105UHBASE. Reservations can made through the web link on tablets and computers but not cell phones. Please note your cutoff date to make reservations is October 27, 2017. This camp is designed to help each camper develop their overall fundamentals and skills. Campers will be taught a variety of drills in order to develop proper swing mechanics and defensive skills. Campers will rotate though hitting stations and defensive stations as well as play games during the day. Each camper will need to bring his own equipment (gloves, bat, helmet, etc), cleats, a pair of shoes to wear if we go inside, players can wear pants or shorts as we will not be doing any sliding drills during the camp. This camp will be staffed by UH coaches, current/former player and select high school coaches from the area. This camp is a great way to get your players skills ready for the upcoming season! Parking for Cougar Baseball camp can be found across the street (Cullen) in the lot behind the RF wall. Saturday lunch will be from 12:30pm-1:15pm-Please bring a lunch with you. Lunch will NOT BE provided OR available for purchase. 2018 will mark the eighth year for Whitting at the helm and under his guidance, the Cougars have won four American Athletic Conference Championships (two tournament (2014, 2017) and two regular-season titles (2015, 2017)). Houston has been awarded two NCAA Regional host bids (2015, 2017), while advancing to an NCAA Super Regional following a Regional Championship in Baton Rouge, La. in 2014. This camp is designed for High School Teams. Teams will play 4 games (2 each day) and get 2 practices with UH coaching staff over the course of the weekend. This is a great way for teams to get a head start on the upcoming season. Teams can bring as many or as few players as they would like for this camp. If your team is interested in attending please contact Cory VanAllen at uhbaseball@uh.edu or (281)-386-8632. Each camper must bring his own baseball equipment. Players should bring a glove, bat, cleats/spikes, running shoes or turf shoes, hat, and any other equipment they feel necessary to compete. Catchers must bring their own gear. Players should check in about 30 minutes prior to the start of the session. Hotel information is available at the Royal Sonesta-inquire for more details. Camp store on site for those wishing to purchase Houston baseball apparel.